Crisis counselors with Hope For NC are helping residents connect with recovery resources by going door-to-door, attending community events and reaching out at churches, schools and local businesses. "We actually reach individuals where they're at," said Hope4NC Regional director Lauren Swain. 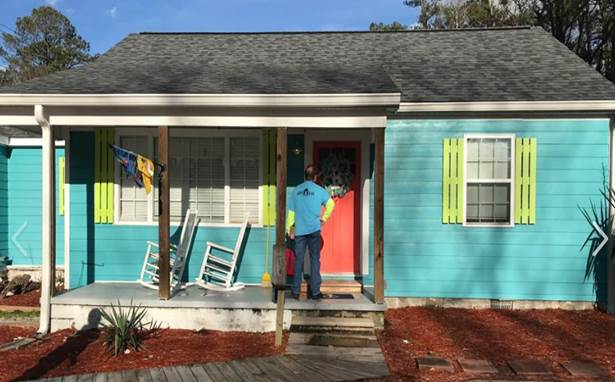 Since their launch in November, the program has reached 138,000 individuals in Beaufort, Brunswick, Carteret, Columbus, Craven, Jones, Hyde, New Hanover, Onslow, Pamlico, Pender, and Pitt counties. "I would say it has slowed down somewhat, but we still have many, many referrals that we get on a daily basis. We have many individuals and neighborhoods still in need of recovery and support," Swain said. Trillium Health Resources, operating under the crisis counseling program Hope4NC, received a grant from FEMA to provide crisis councilors in the 12 Eastern North Carolina counties listed under the federal disaster declaration. Program staff refer homeowners to mold removal services and help individuals find affordable housing. Councilors also provide emotional support and link individuals to group counseling and long term mental health services. All services are anonymous and offered at no cost to individuals. "I think some people are starting to see the extent of their damage and are just starting to figure out what they need which can be pretty emotionally painful," said Swain. "We're there to help at least assess what might be going on, referring them to the right resources, and not just the resources for physical repairs, but also linking them to mental health if they need any substance abuse services, we're there to link them to those types of services also." Hope4NC also provides a 24-hour crisis counseling hotline where individuals can learn about recovery resources. The free access to care line is 1-877-685-2415. "The mission of Hope4NC is to really promote empowerment and to make sure we can build a sense of survivorship so that individuals are stronger if something else comes their way in terms of a natural disaster or maybe a future crisis."